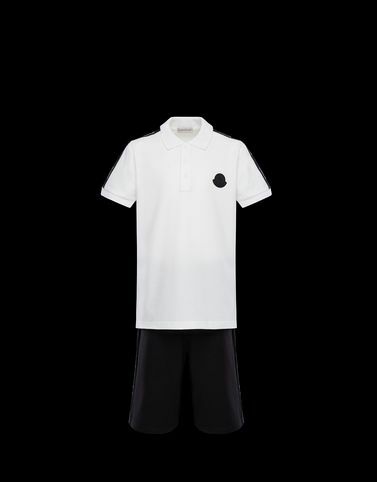 For little boys, the most exciting adventures are always around the corner and this short sleeve polo and shorts set is the perfect ally for playing outdoors. Even on the most action-packed days, this outfit will follow every move of the little ones with a touch of colour and impeccable details. PART A: Wash max 30°C; Do not bleach; Do not tumble dry; Ironing maximum temperature 110°C - without steam; Do not dry clean; Professional wet cleaning; Dry flat; Wash separately; Do not iron decorations; It is advisable to wash and iron the garment on reverse. ;PART B: Wash max 30°C; Do not bleach; Do not tumble dry; Ironing maximum temperature 110°C - without steam; Do not dry clean; Professional wet cleaning; Dry flat; Wash separately; Do not iron decorations; It is advisable to wash and iron with the garment on reverse.